My Mom and Dad were awesome cooks when I was growing up…we even had a small restaurant for a few years. My Dad liked to cook things that took a lot of time… recipes that almost had an element of science to it. Bread fit the bill perfectly. 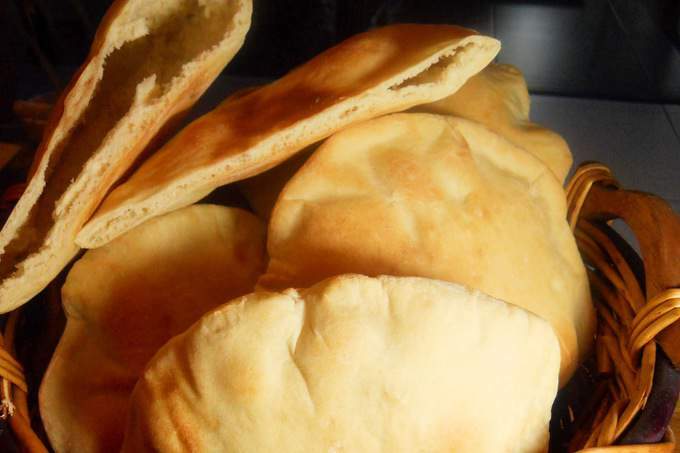 My Dad, being the kinda guy that thinks too much…even went so far as to have a steel plate cut to fit our oven so he could bake up the perfect ‘Syrian Bread’…that’s what we called it “Syrian Bread’. The term pocket bread or pita bread had not been coined yet. In fact the only other place (other than my Dad’s kitchen), that you could get the stuff was at a little middle eastern store in the bottom of the Pike Place Market. 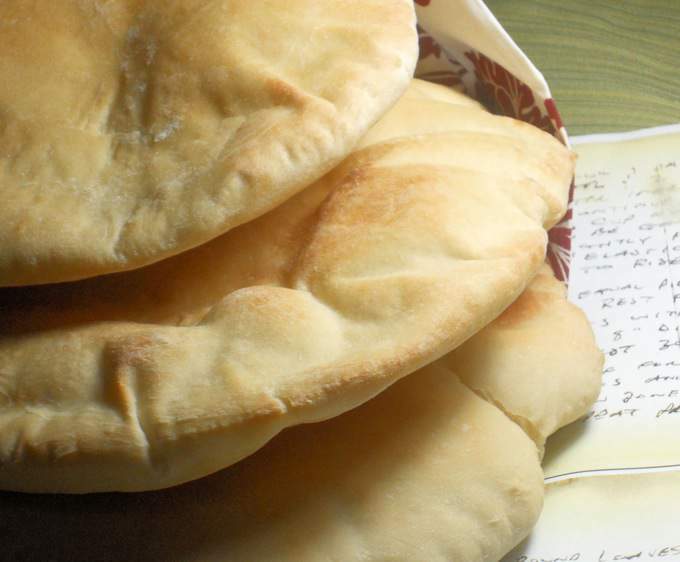 Recently while visiting my mom she gave me Dad’s hand written recipe for Syrian Bread. It was almost painful to see it, painful but wonderful…remembering my Dad through his recipe and his handwriting and then baking from it…it is stuff like this that makes me love food. It isn’t the eating (although I do plenty of that), it is the memories, the family traditions and the serving to those you love that make me a real, true, bonified Foodie. I know my Dad is smiling right now and that is a mighty happy thought! Being a bit of a bread maker myself, I didn’t have a hard time following his recipe but I think I have made it a bit easier to follow. I kept true to his ingredients though…wouldn’t change that for nothin pops! 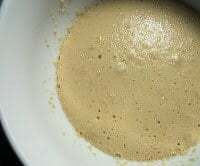 Combine 1/4 cup warm water, yeast and a pinch of sugar in a small bowl. Let sit for about 10 minutes or until it doubles in size. In large bowl or in a Kitchen Aid using the dough hook (which is what I used), combine flour and salt. Make a well in the center and add the yeast mixture. Gently mix ingredients. Add additional water, 1 tablespoon at a time until dough reaches a soft consistency. Continue to knead for 5 minutes. Lightly oil large bowl and add dough. Let rise about 45 minutes or until it is double in size. Punch down dough and divide into 8 equal pieces (12 if you want a smaller bread). Shape into rounds and let rest 30 minutes. 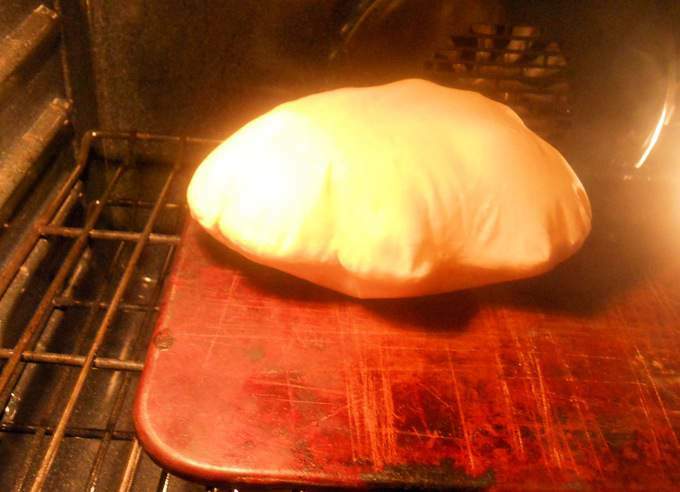 Put baking stone in oven and preheat to 500 degrees. If you don’t have a baking stone you can use a cookie sheet but be sure it’s a sturdy one…500 degrees is mighty hot! Roll each round out to desired size (8″ for large and 6″ for small) and let rest another 30 minutes. 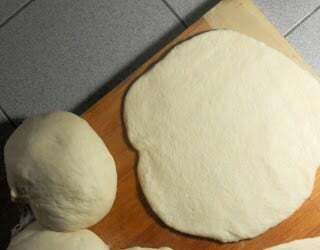 Carefully, place two dough rounds on hot baking stone and bake for approximately 6-8 minutes or until puffed, lightly brown and steaming. Repeat process until all bread is baked. Cut open and stuff with your favorite sandwich ingredients or just smear with butter hot out of the oven! Will stay fresh for 3 days or so and frozen for 30 days if sealed in ziploc freezer bags. Wow, this bread looks amazing! I can’t wait to try the recipe! Thanks! This is one of those recipes I want to ‘re-do’ for a better photo down the road. Hope you get a chance to try it!